In Aug 2005, scientists of the Kunming Institute of Zoology (KIZ) took a survey of the fish in Tuoniang River, Funing County, Yunnan, collecting 38 species of fish. Three species, Huigobio chenhsienensiss Fang, Discogobio laticeps Chu, Cui & Zhou and Beaufortia cyclica Chen, are new records in Yunnan Province. 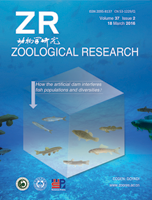 According to the historical record and the Tuoniang River fish specimens preserved in the collection room of KIZ, the author tried to assess the Value of Faunal Presence (VFP) of fish in the Tuoniang River at the respective levels of Order, Family and Genus. Analyzing the VFP is one key to revealing the geographic characteristics of some faunas. The VFP analyses indicated that some worldwide-distributed families and genera had a small quota in the Tuoniang River. On the contrary, the VFP of some endemic families and genera turned out to be relatively high. Cranoglanididae is an endemic family in South China-Vietnam, with a VFP of 100%. Parator and Erythroculter have one species, with a VFP of 100%. Parator is endemic to China; it is distributed in the Pearl River, while Erythroculter is endemic to South Asia. These endemically distributed families and genera can better represent the characteristics of fish fauna in the Tuoniang River, which belongs to the Asian Subtropical Freshwater Fish Fauna.